"Our 3-year-old daughter has loved dancing this year in Ms. Carissa's ballet class. It's been a fun experience!" "Our daughter has had a great first year of ballet. She enjoys attending class, practicing at home, and cannot wait to get on stage next month for her first recital. 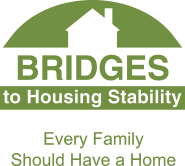 Thanks is due to Ms. Carissa for making her experience a positive one." "My girls have been studying dance at Backstage Dance Studio since 2005, and they've learned so much more than just dance - being a part of a team, dedication, sticking with something even when it's hard. I appreciate everything they have gotten out of dance class. Thanks!!" 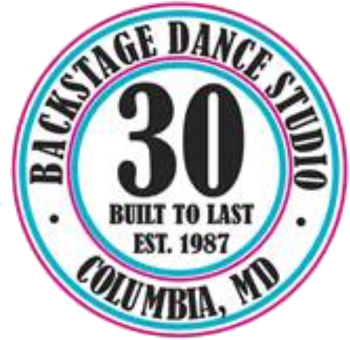 "Thank you to the entire staff of Backstage Dance Studio for creating a wonderful environment of dance. Our daughter loves attending all of her classes. Your enthusiasm and talent is so amazing and we are proud to tell everyone about you! Keep up the great work!" "We have had the most wonderful three years at Backstage Dance! My daughter has learned so much and the staff is amazing. We feel welcomed everytime we walk in the doors. We look forward to the many years to come!" "When my daughter walked into the studio, I did not think it was a 14-year journey. She is a different person when she dances. Thank you, Backstage Dance Studio. Because of your encouragement and consistency, she is a confident and a sparkling young woman when she Rocks the Blue! Thanks Backstage!!" "We are very happy to find an excellent dance studio for our daughter. She started at age 4 and she is now 9, and still can't wait for Saturdays to come to go to dance. Thank you Backstage Dance Studio for the wonderful dance instruction and the amazing teachers and staff. I recommend Backstage to anyone looking for a dance place to learn and grow." "Upon hearing glowing recommendations about Backstage Dance Studio, I decided to visit one day. I signed my daughter up for three classes that same day! I marvel at the high standard and attention paid to technique and precision, even with the little ones. My six year-old can't wait for every Tuesday and Wednesday when we have dance classes! Thank you for cultivating a lifelong love for dance and music in our children!" "We have enjoyed our Backstage Dance Studio experience. When my daughter was a toddler, she participated in the Rockin' Tots class with Ms. Jenni. Now that she is 7 years old, she is enjoying her Jazz class experience with Ms. Jenni. The studio is excellent at communication and is always super professional. Thank you!" "My daughter is in Ms. Carissa's Saturday morning ballet and tap classes. She absolutely adores her teacher, and her helper. I especially like how she uses language the kids know to teach the basics of ballet and tap. Callie looks forward to coming to class every week, as I do as well. I have enjoyed our first year at Backstage, especially since the parents are able to watch class on the monitors and reiterate things at home. Thank you for all the studio does!" "Thank you for providing such a fun and nurturing experience for our daughter. She's been taking one or two classes a year for the past 6 years or so. Her dance skills are starting to definitely show through in everything that she does! She loves it! She has made some wonderful friends in peers and teachers, alike, getting and giving hugs each week as she goes into the studio. Everyone is always so welcoming and happy to see her, it makes rushing there on a weeknight amidst dinner and homework all the more special to her (and to us)." "Our daughter started at Backstage almost two years ago with one of the summer camps. She has gone from taking one class for fun, to four classes this year, to wanting to quit soccer all together and try out for the competition team. We have watched our daughter change from playing soccer in the backyard to "dancing" on the soccer field every chance she gets. She looks forward to her dance classes throughout the week. We have found Backstage teachers and families to be very encouraging and helpful. We look forward to this new adventure with Backstage Dance!" have provided my girls for the past 12 years. They are growing into self-confident, poised and graceful young dancers/women. The dance instruction they receive at Backstage is top notch with a strong focus on technique. The extensive class offerings allow my girls to experience and learn all dance forms, and the summer classes allow them to experiment and refine skills in a pressure-free environment. We are so happy to be part of the Backstage Dance family!" ​"Our family is so happy that we found Backstage Dance Studio in 2003! Our oldest daughter began at Backstage as a Rockin' Tot" and is now on three Show Troupe teams, and our younger daughter is following in her footsteps! Spending as much time as we do at the studio, it is obvious to me how much all of the teachers care for my girls - not only their advancement in dance, but also their personal growth in the areas of self-confidence, respect and discipline. My daughters are better people because of the attention they have received and the skills that they have learned at Backstage. I recommend the studio to anyone looking for excellence in dance instruction and a caring staff!" "Hannah has been dancing at Backstage Dance Studio for the last 3 years. She is always excited to go to dance and can't wait to tell us all about class when it is over. If you ask her what her favorite thing about dance she will say, "dancing on the big stage!". She looks forward to the recital each year. This year we have been extremely pleased with her growth in dance. Ms. Diane has really taught her well and pushed her to her best abilities. She has learned proper form, technique and correct names of different positions and moves. This is Hannah's 2nd dance school as we have relcated for work. It can be a difficult decision in which dance school to pick particularly when you move to a state wher you don't know anybody. We feel very blessed and fortunate to have found such an amazing school. We look forward to watching Hannah grow and develop into the beautiful dancer we know she can be thanks to Backstage Dance!"